My heart bleeds when I see people who still believe in exerting themselves in physical work and expect themselves to make it big. Please, get this right and don't quote out of context. Kudos and salute to those who are diligently adding dignity to their labour in order to earn a living. I am only moved with pity for those with the intellectual capacity to make it online but who don't know that these days, making money is no longer a matter of physical jobs. Using the common-man language, I will try and inspire you here as much as possible. Let me begin with this post to share with you a lot of money-making opportunities there online. Money does not grow on the trees and it does not flow on the streets. Yet these days, a lot of people are making six-figure income online as freelancers. 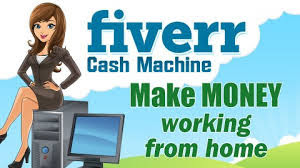 One of the platforms that are aiding their regular income is Fiverr. Have you heard of Fiverr? What do you know about it? Are you aware that if you are a freelancer, Fiverr can complement your effort to make a lot of money online each day? 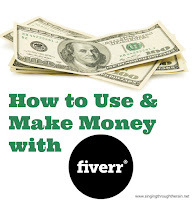 When I consider the life-changing opportunities Fiverr is opening for freelancers, I determine to take my friends through this guide and show them how to make money With Fiverr, right here in Nigeria. Established in February 2010, Fiverr is just a market. And what is a market? Simply put, it is a place where people meet for buying and selling of merchandise. But Fiverr is not a physical market; it is online. That means, you don't have to physically meet with your buyers before you can sell for them. Take note though that you don't expect to return home from the market with money if you didn't take anything along to sell. Same goes with Fiverr; you must have something to sell on Fiverr to make money on Fiverr. Michael Kaufman summarizes the ideals of Fiverr the best possible way. As a co-founder, he described Fiverr as a marketplace for services adding that it is a unique market that converts your services to products for others to buy. You see? So everyone has something to sell on Fiverr. And YOU do. One unique area of strength according to Kaufman, and as we can confirm, is that Fiverr is not just about getting a freelancer to hire, but also it embraces the ideas of hiring their products. 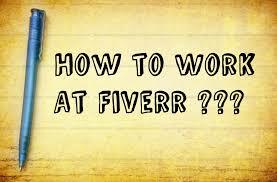 To be able to operate on Fiverr, you must first sign up. The process is quite simple and it's entirely without charge. Visit their official website, www.fiverr.com, and sign up as a new user. You will be required to supply some personal information. Feel free to do so, Fiverr is an authentic site and it's very safe. However, make sure you understand the terms and conditions that apply by reading them up, to avoid a case of ‘I wasn't told.' After that, you're welcome to a new world. Be careful to sign up as a seller and not as a buyer as you would understand the reasons easily. Here comes the value of self-discovery. You certainly need to determine that thing in you that others are in need of. 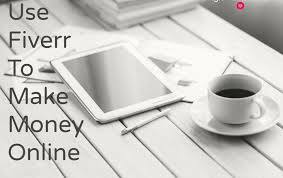 That skill is what you are being given an opportunity to convert to money on Fiverr. In reality, employers have pretty discovered that Fiverr as a market where they get the services they want at the cheapest rate. The found it cheaper than what they could negotiate with a skilled professional offline. 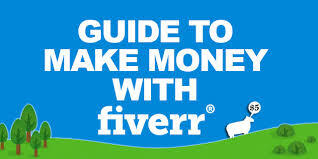 For instance, for each service or product you sell on Fiverr, you are paid $5. 20% of this goes to Fiverr (you should know what that is for anyway) and you are left with $4. 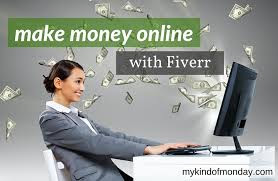 Of course, this is not to be considered a disadvantage as you will see when you are reading about how to make more money on Fiverr. But before that, let's get down to how to market your skills, also known as gigs in their parlance, on Fiverr. When you are signing up, be as detailed as possible so that you can project what you have to sell. There are uncountable gigs or skills on demand. And it is not uncommon for anyone to have more than one skill. If time is indeed money, consider the time while offering up your skills. It is not at all prudent to offer to render the service it would take you longer to accomplish while there are others starring at you that you could complete in a relatively shorter time. Don't forget, it's $5 per gig, and ultimately $4. To succeed, do give serious consideration to your time. As times go on anyway, you will see that it is possible to be paid more than $5 per service rendered. Similar to what I said above, invest your energy on the gigs that are repetitive. Buyers will always come back for article writings, solo ad, and traffic deliveries to mention a few. Also, try to maintain your clientele as you would do in offline tangible markets. One of the ways to do this is to take advantage of the social network. A lot of Nigerians using Fiverr have confirmed that they do excellently well with Twitter and Facebook. It's so because you can notify your clients of the number of gigs you create almost immediately and you begin to get responses in form of tweets. One beautiful way is to be giving your buyers more than they bargain for. By so doing, you will be more reliable and they will always come back for more of your services. Endeavour to avoid late delivery. Punctuality is the soul of business, they say. If you deliver you gigs ahead of the time you both agreed, your ratings will rise. And do not expect to be given too many days. If you work hard, you should be delivering your gigs in 24 hours, save for the ones that are more challenging than the usual. You will soon appreciate the benefit of working hard to attain a point of level 1 seller on Fiverr as quickly as possible. It enables you to qualify to add more gigs to the ones you have. 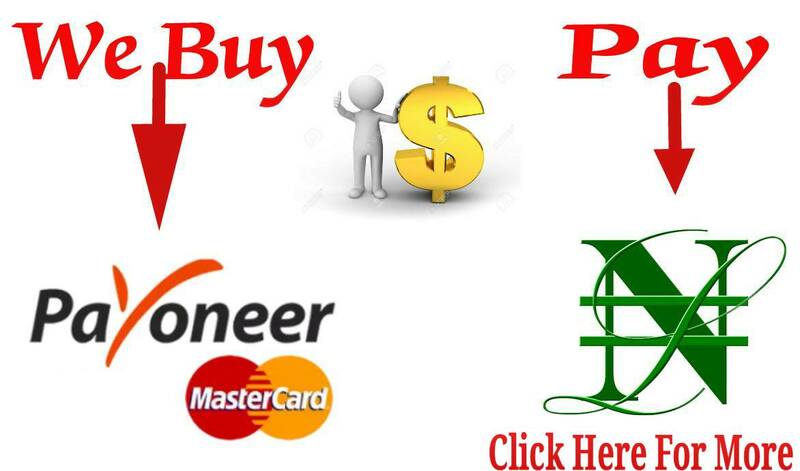 You will also be issued Fiverr Master Card with which you withdraw anywhere, even in Nigeria here. Do not price the extra gigs you got low. Level 2 and lever 3 are attainable of course with consistency. Sooner or later you will notice other freelancers on Fiverr who are smiling to banks with huge earnings. Try and find out their secret. That may be the springboard for you. It could be that they have identified the services you are yet to discover. While not being a copycat, their experience will definitely get you thinking in such a way that you will produce what will make you proud. How about blogging about your gigs? This is quite effective. It's just a matter of putting into writing what your gigs on Fiverr stand for and how your buyers get benefit buying them. If you can get it right once and credibility is added to it in the review, they clients will not stop coming. Nigerian freelancers have been seen posting their gigs review on Youtube video. This will depend on the service you brought to the market. This method works well, especially for the affiliate marketers. By the way, with a very good initiative, which one cannot be produced into a short video? Practice the skills you intend offering to develop confidence in your ability without fear of failing your buyers. This may take some weeks or months, but give room for the disparity. Create Gig on Fiverr. Make it unambiguous the service you intend to render and let your terms and the delivery time be clear. Yet keep it short. The shorter the better. Create your gig image. Research thoroughly the catchy image that will tell it all. Give your gig the appropriate description that will be informative enough to the buyer. You can get the clue by browsing Fiverr and see how successful sellers have described their gigs on Fiverr. Another thing that will promote your gig is to give it a fitting tag that is, keywords. When you have the right tag, it can be more quickly searched out by the buyers. If you are considering freelancing or you're already a freelancer. Let Fiverr be your market and you will be happy for real. For questions, kindly use the comment box. And if you found the post interesting, pls share!! !